You might recall that I have a bit of a "thing" with shoes. I love them and I often window shop for them online. One of my very favorite pair of shoes that weren't DIY are my ASPCA kitty cat Vans. 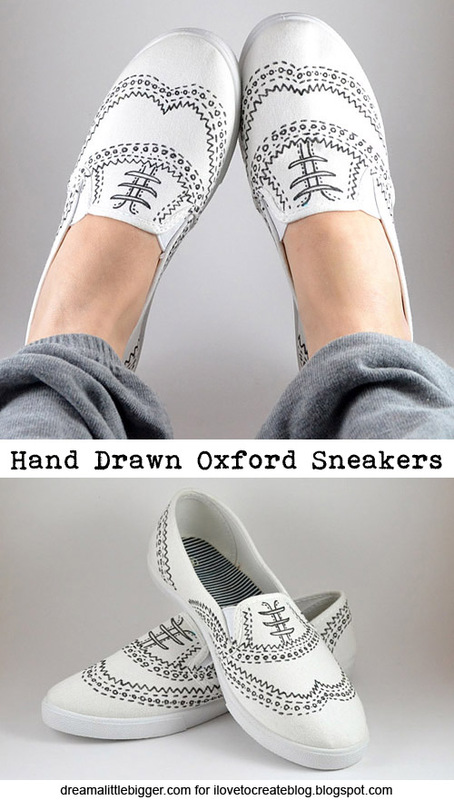 Perhaps I'm just a Vans fan because when I saw these oxford drawn sneakers at We Heart It I was instantly smitten. And when I couldn't find them to buy I went DIY of course! I grabbed these plain white sneakers at Walmart for around $5. 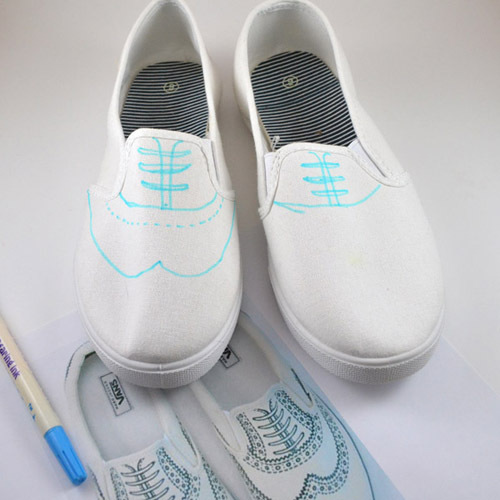 These are the women's and considerably more narrow that the classic slip on Vans so the design will be a bit tighter. Print a copy of that pic to use as a reference and bust out that water soluble fabric marker. If you're not familiar with these, here's the deal... The blue ink will stay on as long as the fabric remains dry. When hit with water (even the tiniest dribble) the ink disappears. Cool, huh? Following the picture loosely draw where everything should be. This can be super messy because the blue ink is going to be going bye bye anyway. 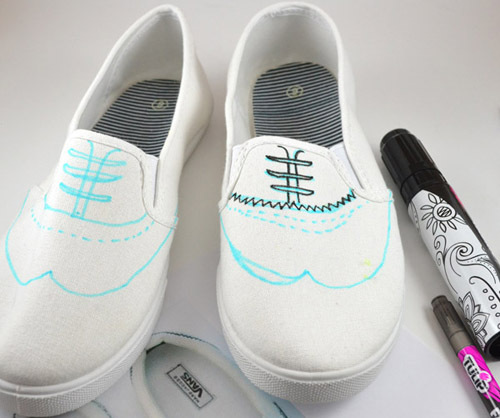 Just mark your reference points all around the front/toe area of the shoe. 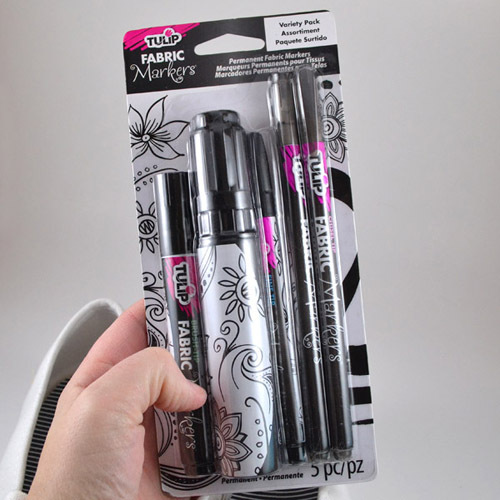 I got my black marker from this Tulip Fabric Markers Variety Pack and it's super cool! There's a fine tip, a brush tip, a regular tip, chunky and super chunky black marker all in one package. You can pick this bad boy up at Michael's stores. FYI - I used the middle marker with the plain old regular tip. 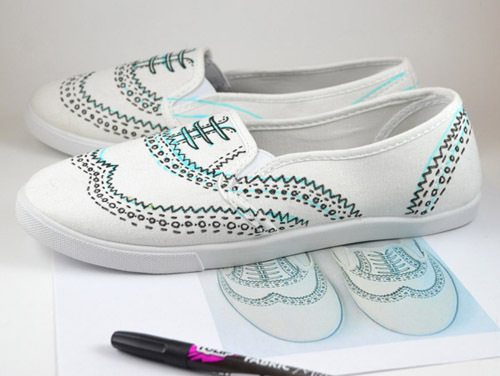 Following your guide marks permanently draw the design onto the shoe, keeping your photo nearby for reference. 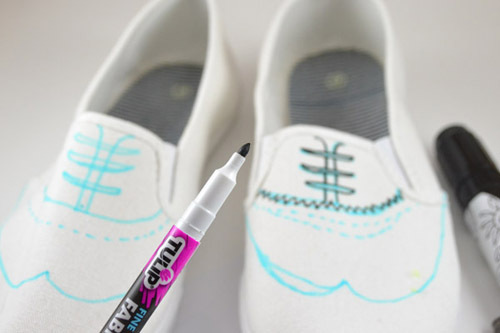 Totally mark up the toe of your first shoe and use it as a reference (rather than the photo) to mark up the second. 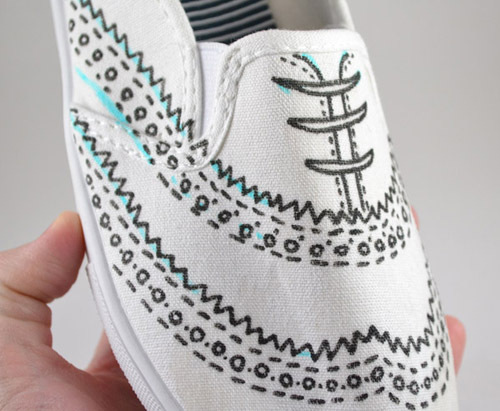 When the toe ares are done, draw around the heel and connect the area below the "laces" to the mid sole of the shoe. Go over them mimicking the pattern you've already been using. Allow to dry at least 24 hours and then dribble water onto the canvas to clear away the blue lines. On this pic, the lines on the right are all gone and the left is completely dry. When the water has dried, these shoes are ready to rock. 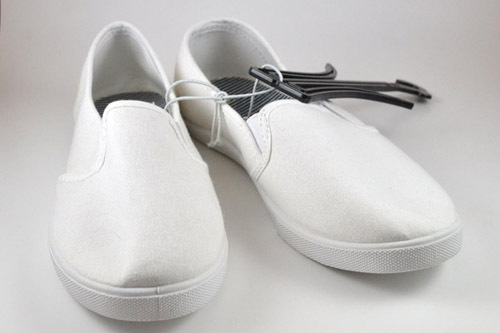 Since they are white (and I'm so bad with white sneakers) you might want to hit them with a bit of Scotch Guard to keep them looking nice for a while. 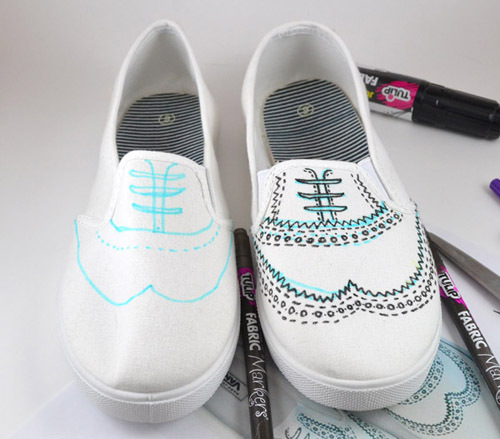 Because you did take the time to draw up these super awesome kicks! Even if you're not the best artist out there, because I am definitely not, these are totally doable. Just take it piece by piece and draw lines and dashes and zigzags and circles and you're set! If you loved this post, I'd love to see you over at my site Dream a Little Bigger! I CANNOT wait to get started on a pair. This is more than sweet!